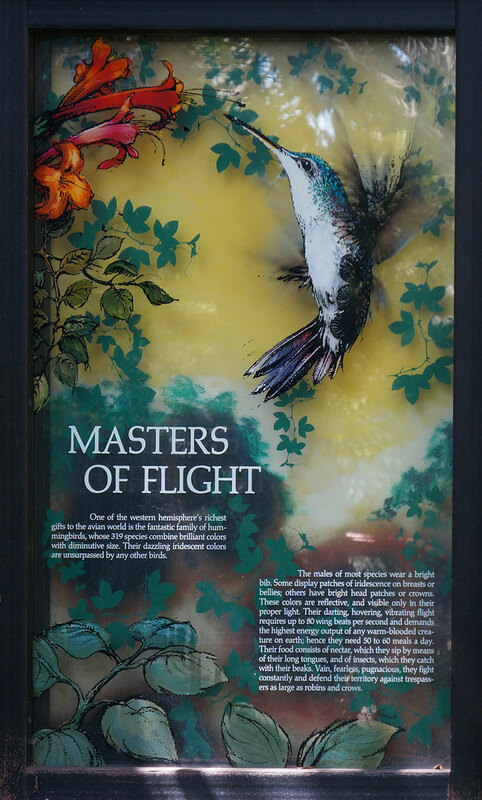 One of the often missed exhibits at the zoo is the Hummingbird Aviary. 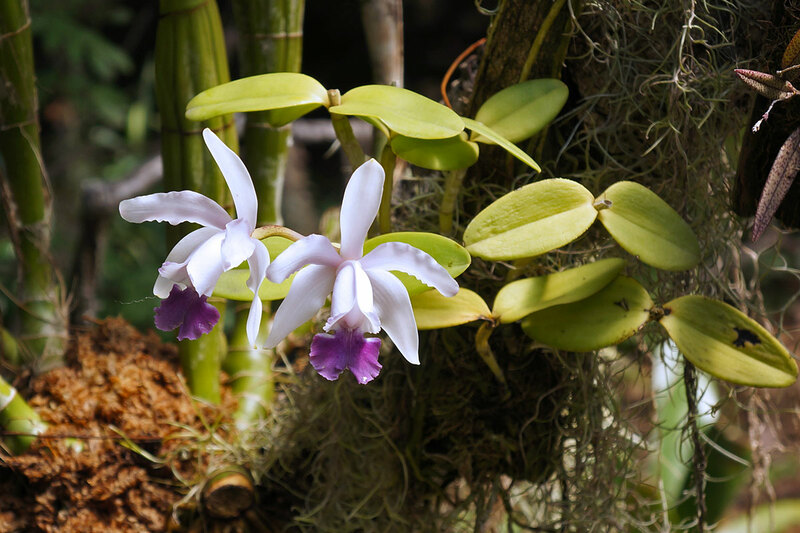 It's a modest little exhibit that is off the beaten path. 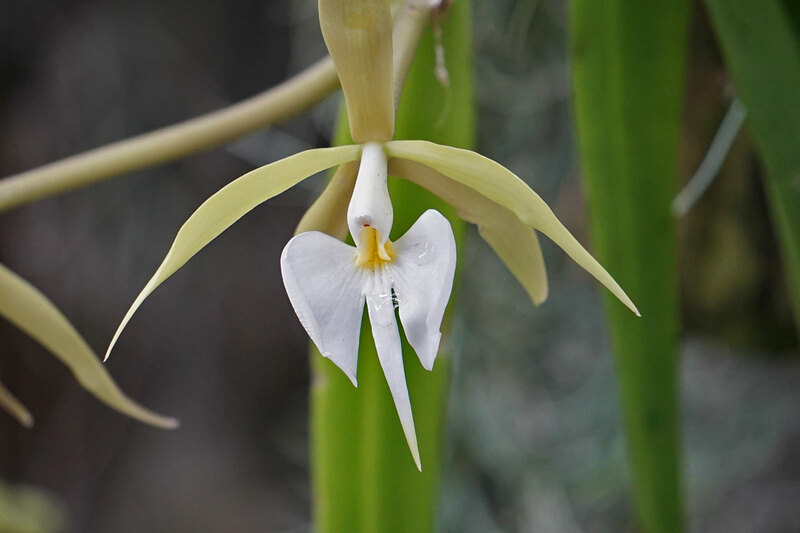 But it's a favorite spot for photographers as it offers a challenge to capture these tiny and elusive birds. 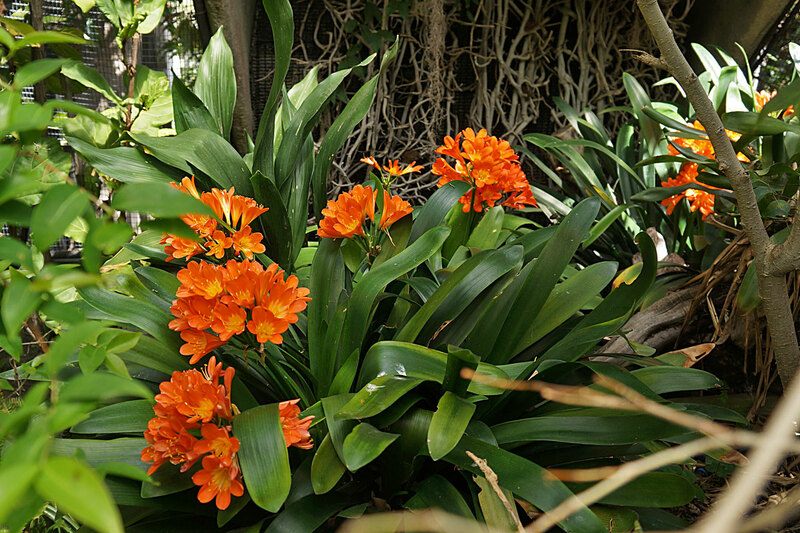 Upon entering the aviary, you'll notice the dense growth of tropical plants, making it even harder to find the birds hiding here. 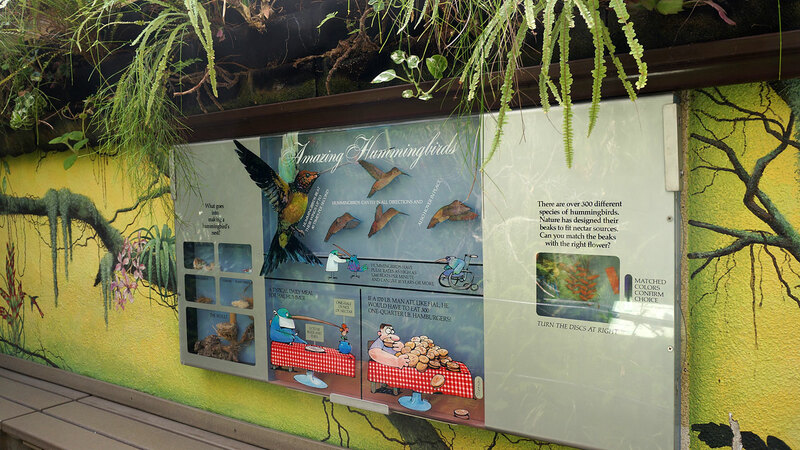 Colorful signage gives a little info on the "Amazing Hummingbirds". 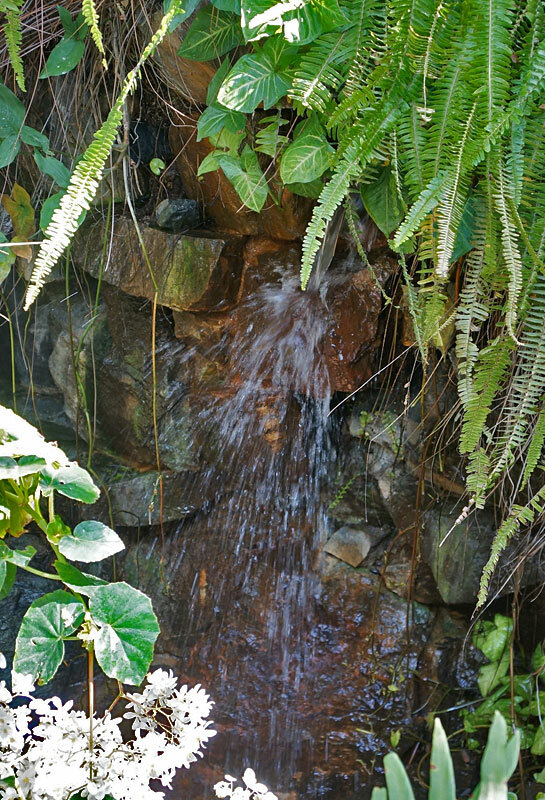 A small waterfall spills into a little stream at the base of the exhibit. 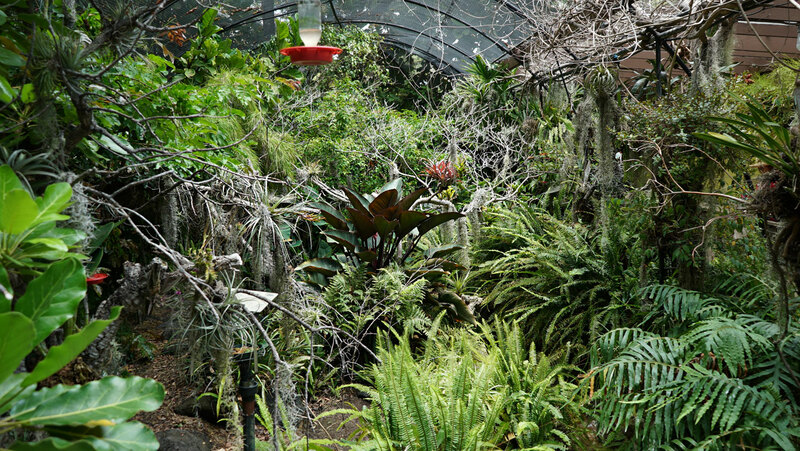 In truth, there are only two species of hummingbird in the aviary. 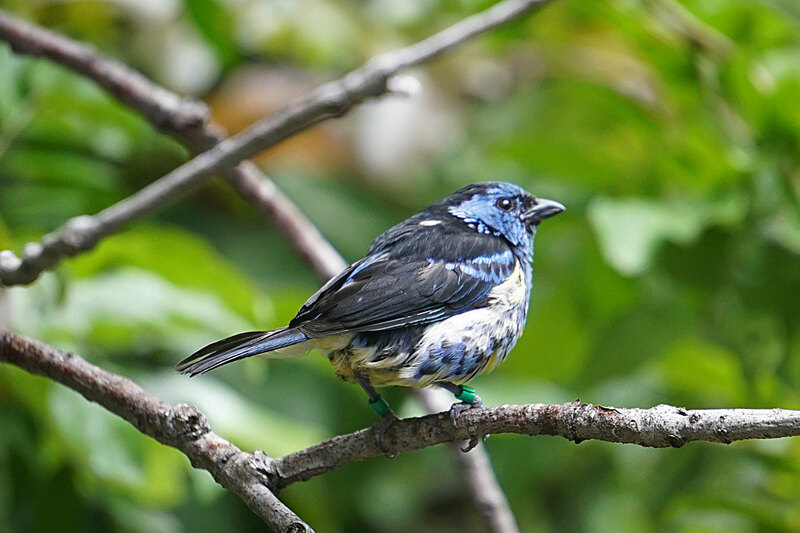 The rest are tanagers and other small birds. Costa's Hummingbird is from the U.S. I'm not entirely sure which species this one is, as it resembles Anna's Hummingbird, the other species here. I'm pretty sure this is the female Anna's Hummingbird, which is found in a range from Arizona to British Columbia, Canada. 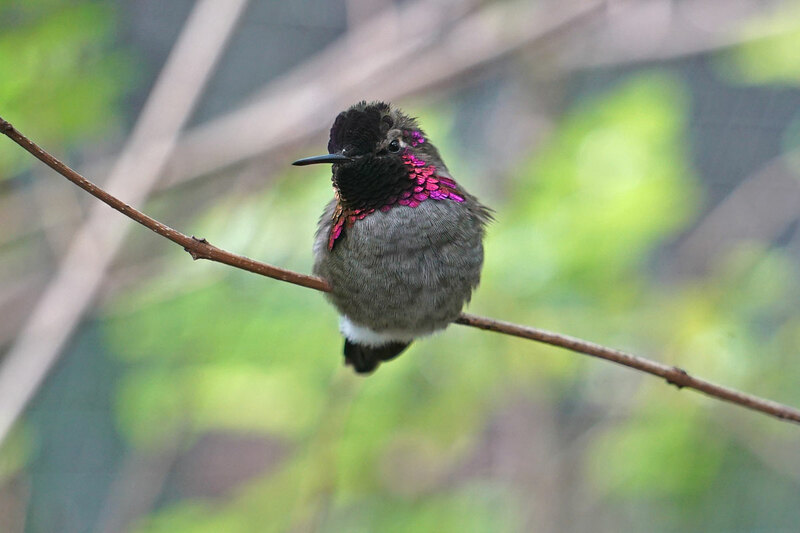 This is the more colorful male Anna's Hummingbird. 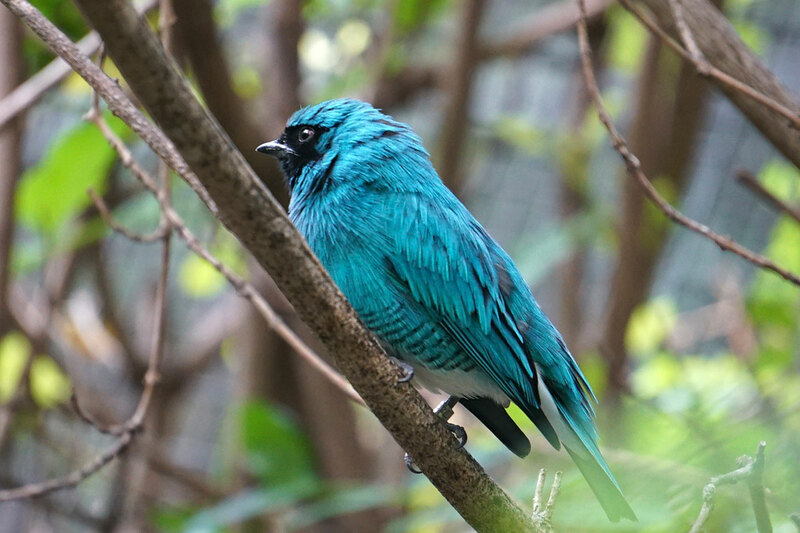 Blue-necked Tanager, ranges from central Colombia to northern Peru. 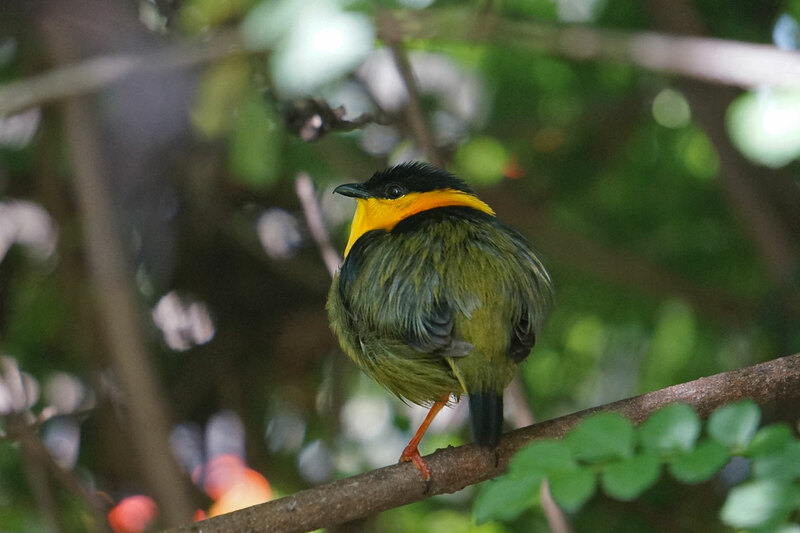 Golden-collared Manakin, ranges from Panama to Colombia. 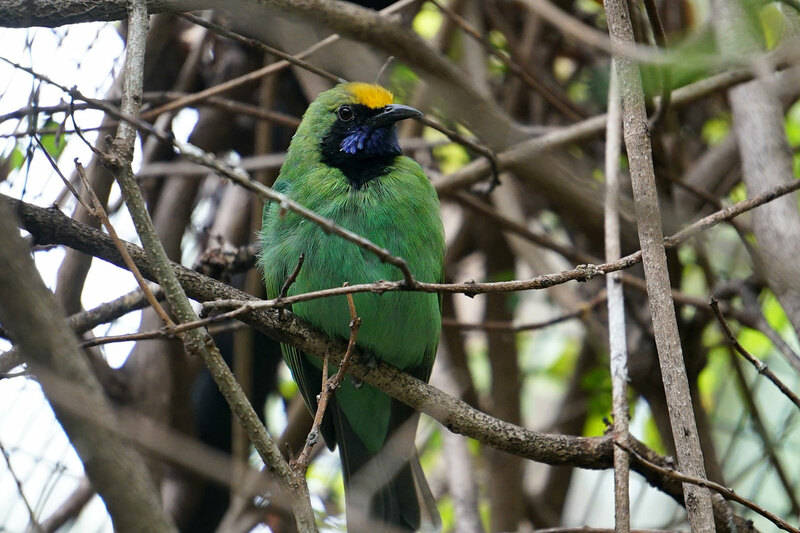 Golden-fronted Leafbird, found in southeast Asia. 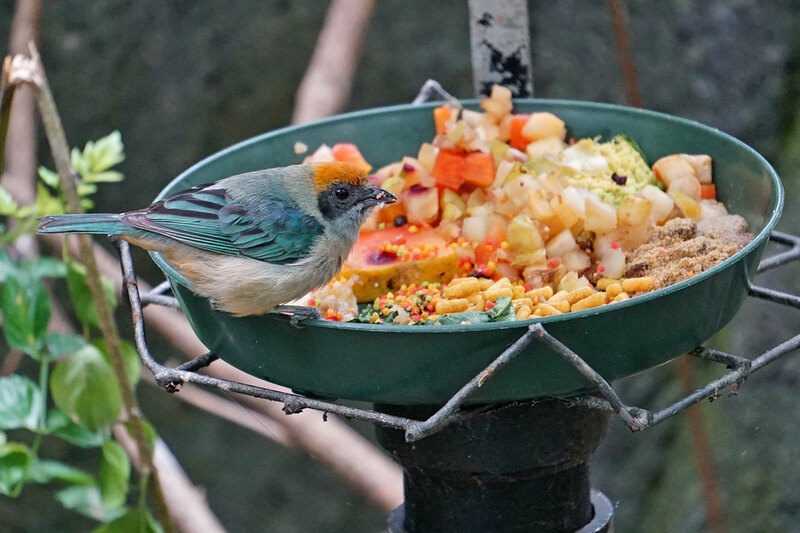 Rufous-crowned Tanager, found in Brazil, Peru, and Colombia. 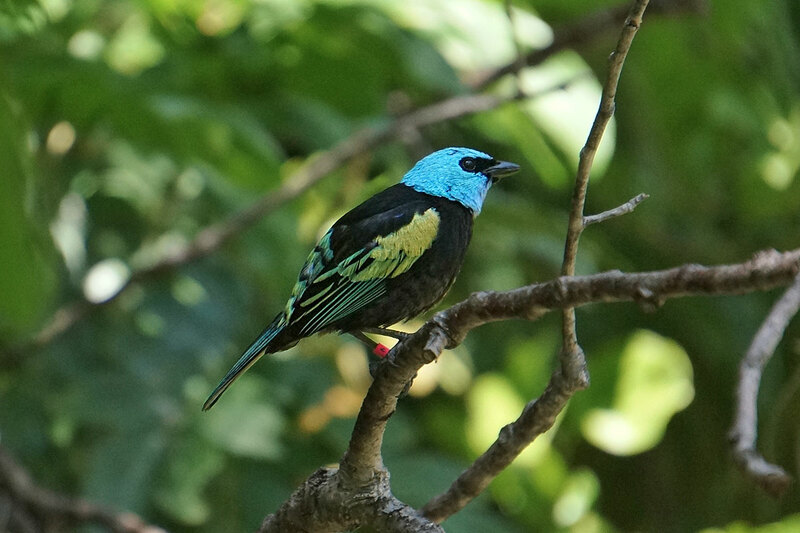 Swallow Tanager, from northern South America. 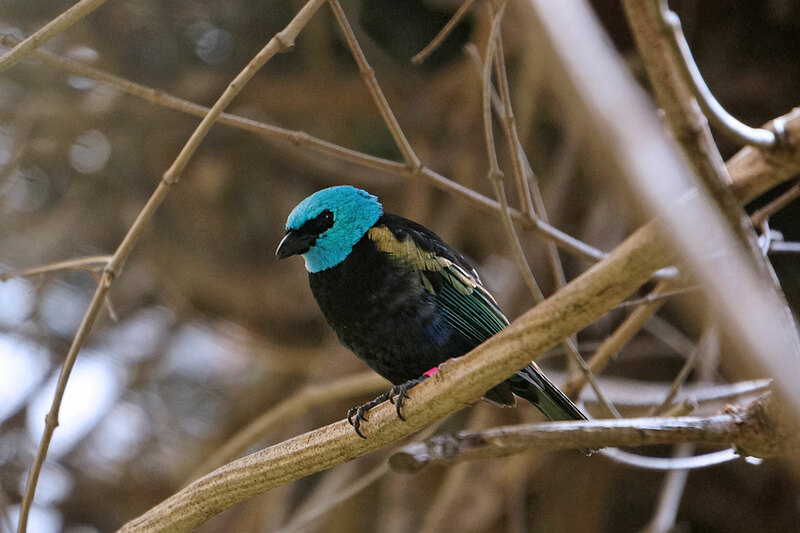 Turquoise Tanager, found in the Guianas. 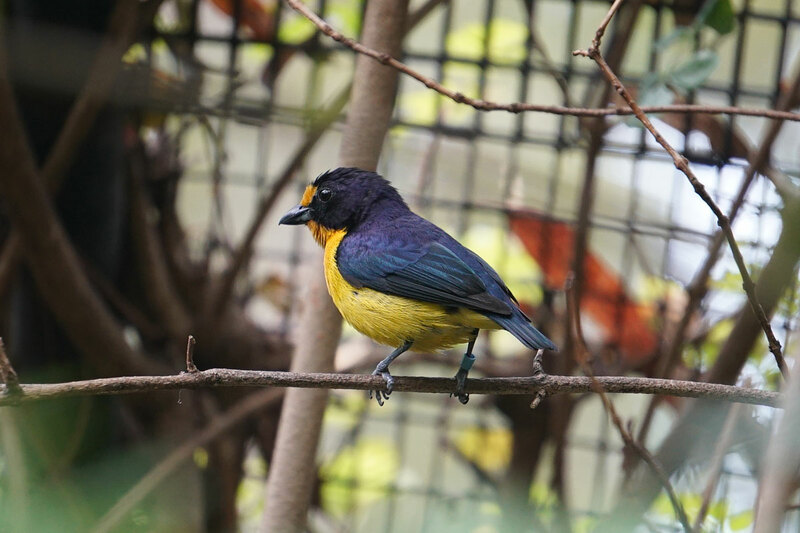 Violaceous Euphonia, from eastern South America. How's that for a name? 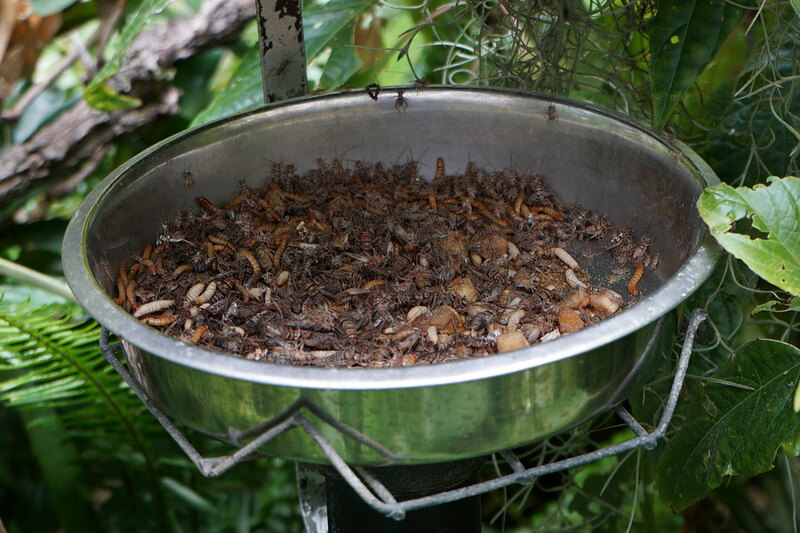 This special treat of fresh, yummy bugs is always available to the birds. 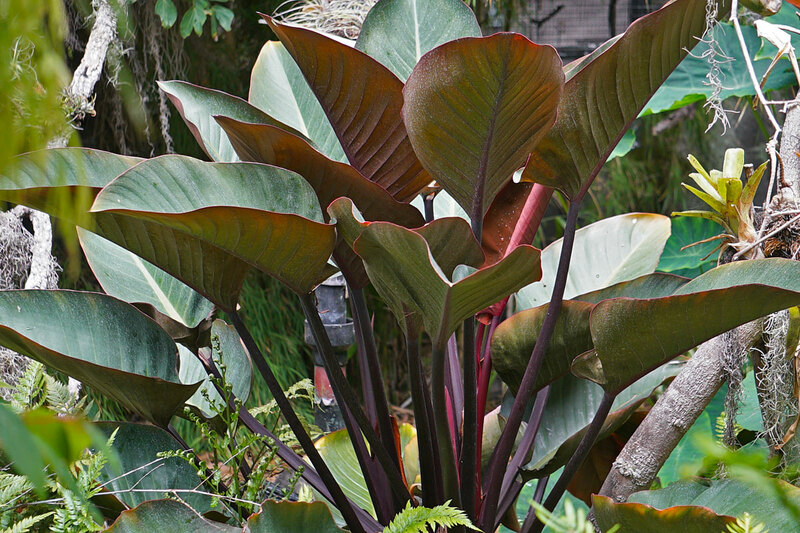 Besides the birds, tropical plant and flower lovers will find a lot to look at here. 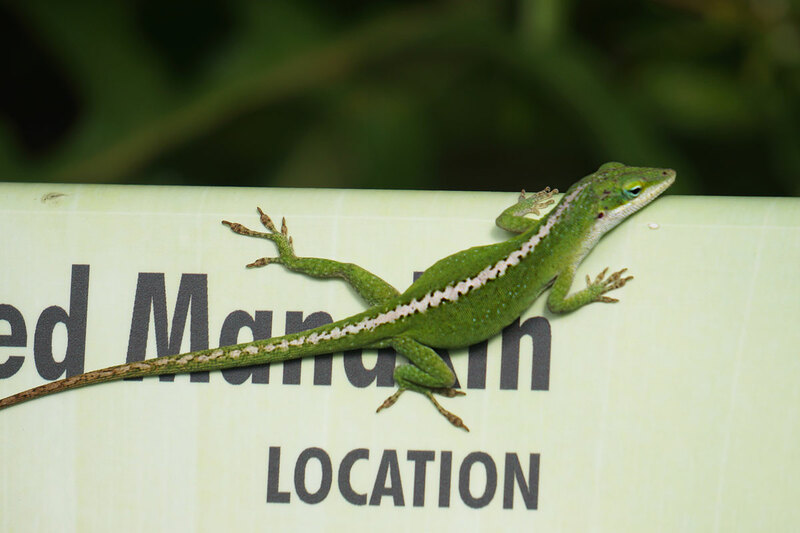 A few native species will occasionally find their way into the enclosure. 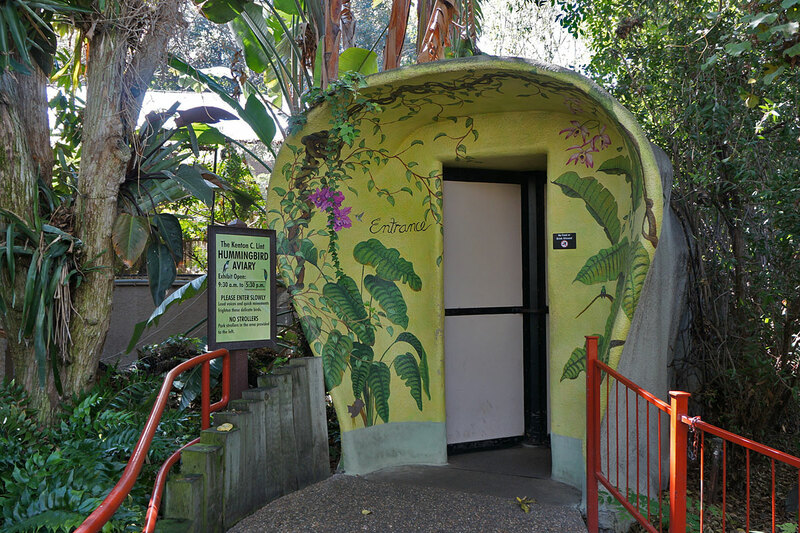 Outside the aviary, are a pair of bird enclosures. 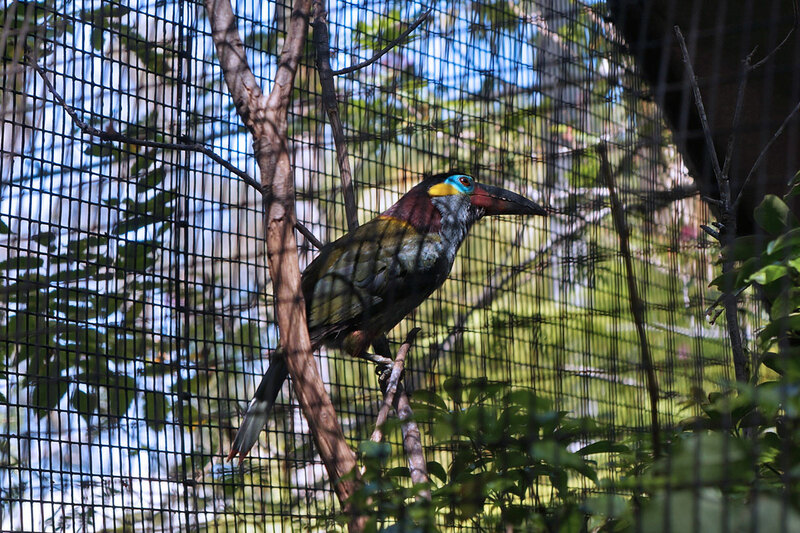 One is the Plate-billed Mountain Toucan, from Ecuador and Colombia. 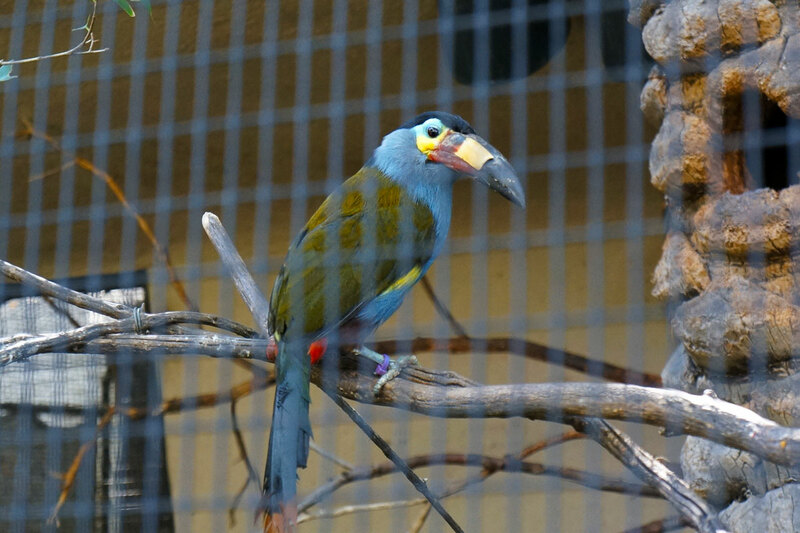 The other is the Guianan Toucanet, from the forests of Venezuela to Brazil. 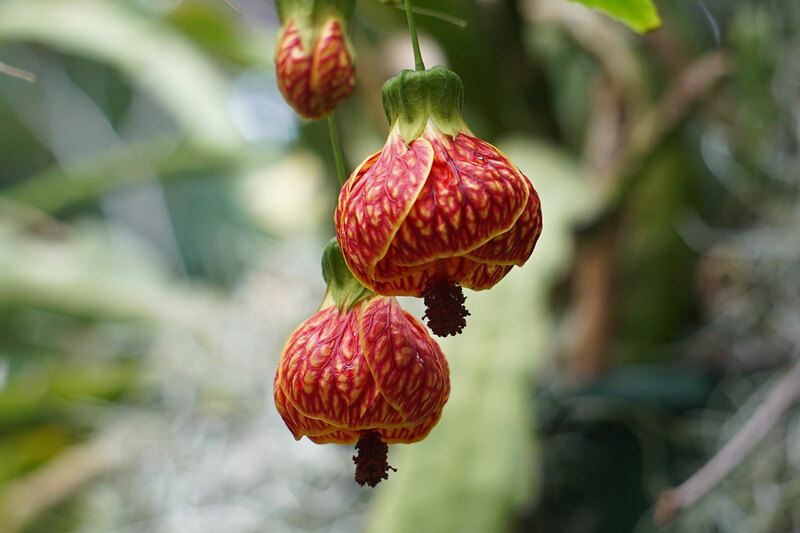 Some beautiful pictures of birds and flowers here. 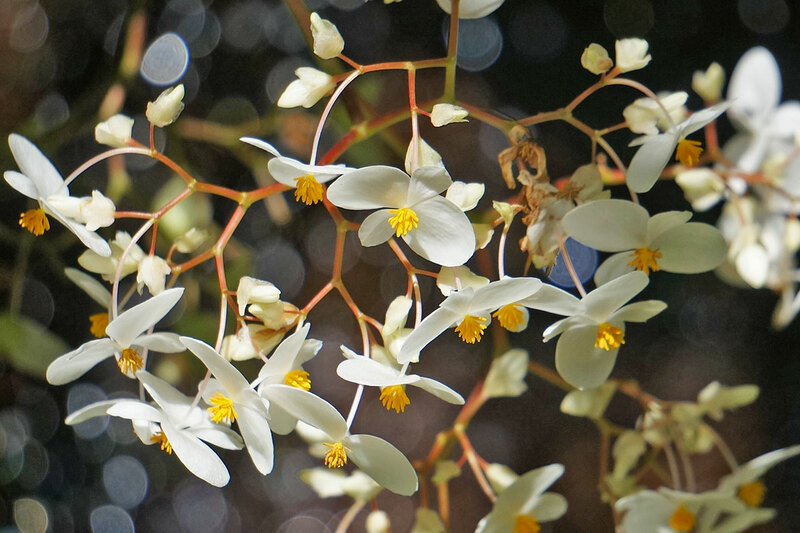 I especially like those red & yellow bell-shaped flowers. 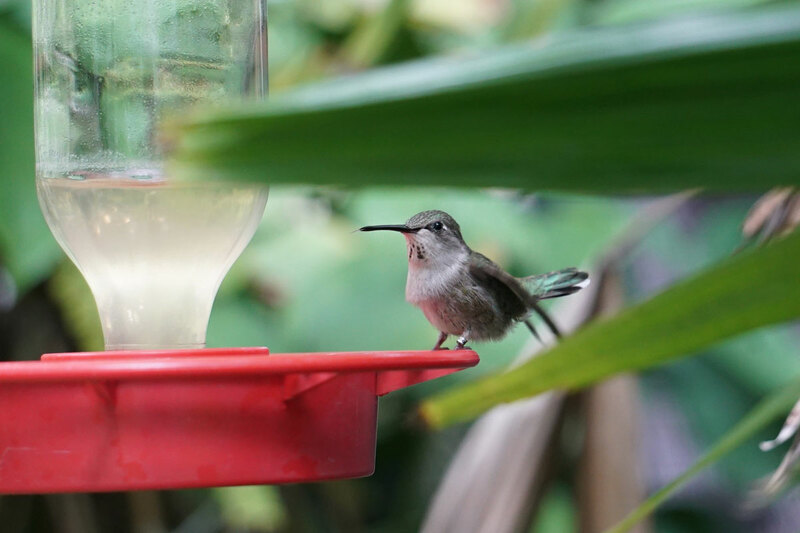 Here in Oregon, we have the Anna's and Rufous Hummingbirds. The Rufous fly south for the winter, while the Anna's (some of them anyway) stay for the cold months; when the temperature can get down into the single digits at times. They go into a hibernating-like stupor during the coldest days. 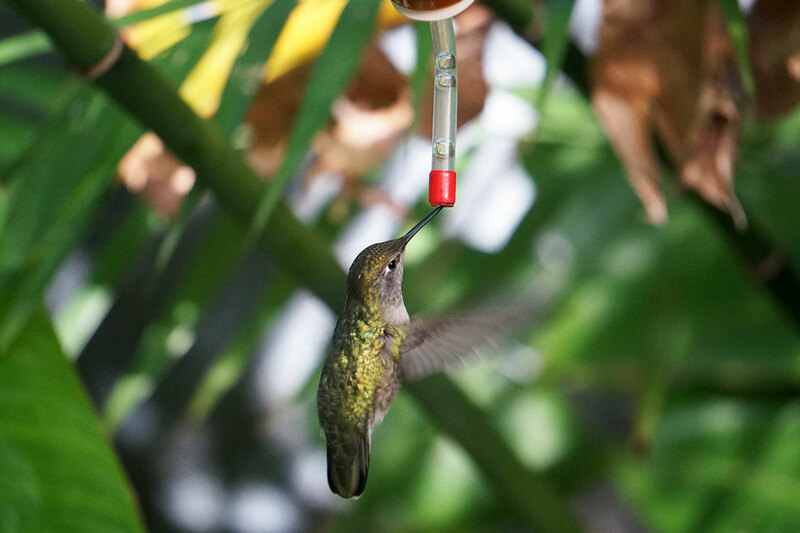 We keep a hummingbird feeder up all year round for them; having to bring the feeder inside at night during a cold snap to keep it from freezing solid. A few Anna's make use of the feeder all winter. 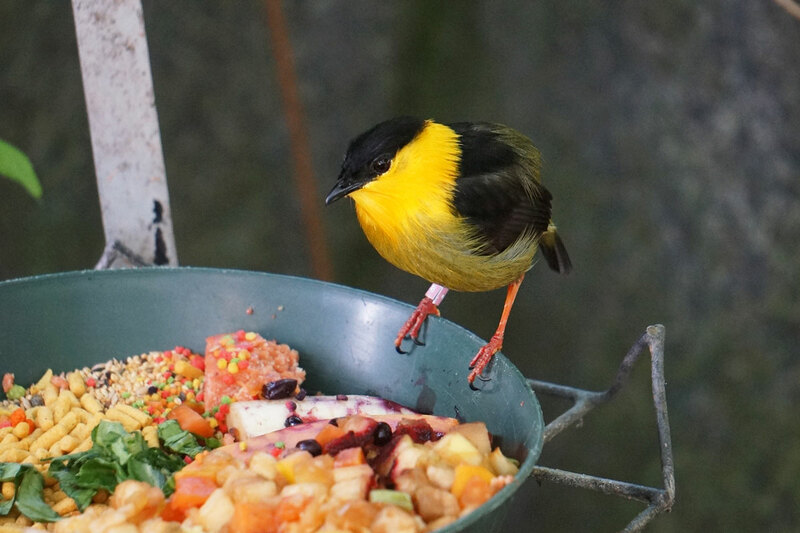 That's sure a colorful plate of fruits & veggies for the birds. Is that mac & cheese? And birthday cake 'confetti'? 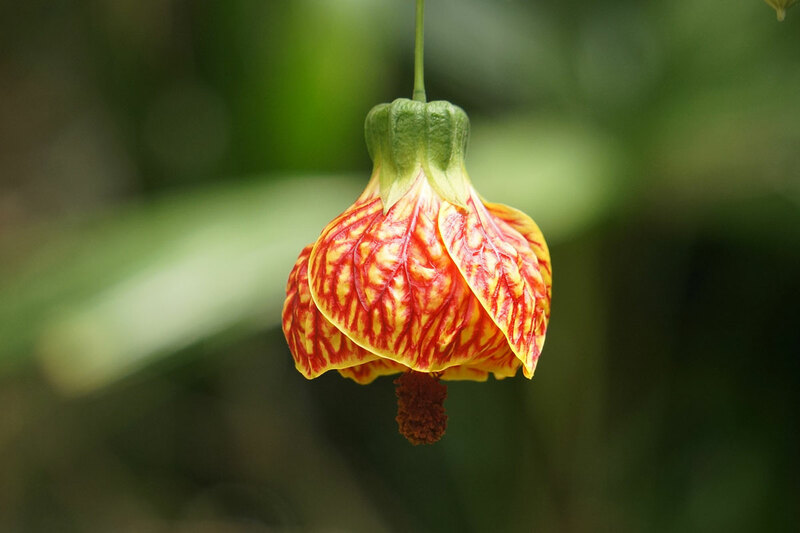 some of those bird and flower shots are great. I love to take bird shots (in the wild) and most of the time they are not easy at all. I would think in a cage it may be a bit easier, but still some great shots here. Oh yes, taking shots of birds, especially the very small ones, can be very challenging, as they rarely sit still long enough. By the time I've set the focus and clicked the shutter, they've flown off. ^ Stupid birds. Don't they know that the Great and Powerful Wizard Of Oz shyguy is snapping their picture to post here in the Turnstile Tribune? 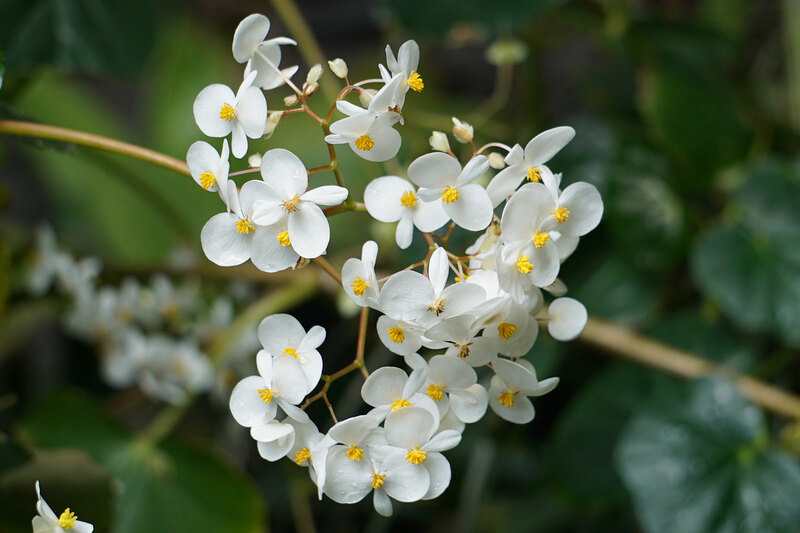 And preserve their glorious beauty for all eternity?